Relationship expert & NY Times Bestselling author of Family Whispering & Consequential Strangers. Look at the bigger picture. When you widen the lens, you see a complex intermingling of relationships, needs, and personalities. Take into account the strengths and vulnerabilities of the individuals, how they relate to one another, and what’s happening in the world beyond the walls of your company. Let them. For any enterprise to work, everyone must feel like a “stakeholder”–a person who benefits and contributes. Being open to everyone’s ideas, regardless of age or salary level, and allowing them to participate improves productivity and the bottom line. Don't try to control; exercise self-control instead. Guide and offer assistance when asked, but don't constantly step in, oversee, and correct. It’s a waste of energy. No one has the power to control how others think or behave. Ultimately, micro-management damages the relationships. Do you have waitress who knows how you like your coffee? Do you enjoy a few words with your doorman or concierge? Does your doctor's receptionist know you when you call? Do you have a classmate or gym buddy you adore but never encounter in another setting? All of these people are “consequential strangers”--relationships other than family or close friends who are as important as our intimates. Those closest to us know what we know, but these casual acquaintances give us information, expose us to new ideas, and make life more interesting. And we're more likely to listen to them! It's vital to be aware of all our social ties, even people we take for granted, and to open ourselves to new connections. You don’t have to be a great networker or an extravert – most of these people are already in your life. If you’re looking to inspire your group, invited relationship expert Melinda Blau, co-author of Consequential Strangers and a dozen other books, to talk about the many ways you can sample the "social supermarket," and as a result, feel better about yourself, be more productive and creative, even live longer. Melinda will share fascinating research about how your "social convoy"– the people you pick up along the road of life – affects your health, your choices, and how you see yourself. It will forever change the way you see your life and your relationships. In a one-stop shopping presentation, Melinda Blau synthesizes theories and findings from a wide variety of fields–psychology, sociology, communications, marketing, and urban development–to explain what consequential strangers are and why it’s so important for us to acknowledge and value them. Not to be confused with “networking,” or “social media,” this is the art of fostering relationships and expanding your horizons to recognize and recruit the human resources you already have. As we move forward in the second decade of the new millennium, Melinda’s message is both timely and vital: Those who acknowledge, value, and make use of the broader social landscape reap multiple rewards: better information, higher productivity, greater innovation. Indeed, whether one needs to manage a family or a firm, find a job or further a career, spur innovation or juggle the multiple demands of dealing with suppliers, customers, and contractors that span the globe, it is vital to understand the role of consequential strangers. For it is from them that we are encouraged to go, as Melinda puts it, “beyond our own familiar.” And it is from these wash-and-wear social ties that we gain the kind of “red ball” connections that give us access to all sorts of resources. Drawing from her own experience as well as from more than two hundred interviews, Melinda offers dozens of compelling anecdotes and a set of guidelines that will enable audiences to understand their “social convoys” and to identify and make the most of their own consequential strangers. Award-winning journalist Melinda Blau has been researching and writing about relationships and social trends for more than thirty years. 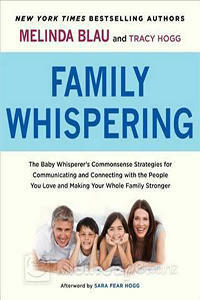 Her book, Family Whispering is the fourth book in the popular Baby Whispering series. Melinda began collaborating with the late Tracy Hogg (a.k.a., the "Baby Whisperer") in 2000 and has since given birth to three best-selling books: Secrets of the Baby Whisperer, Secrets of the Baby Whisperer for Toddlers, and The Baby Whisperer Solves All Your Problems. Her new book, Family Whispering, guides BW fans through the next (and even trickier) phase of parenthood-working together as a family. 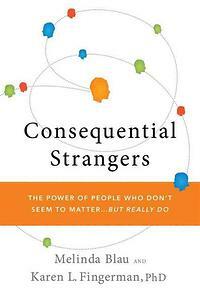 In her 2009 book, Consequential Strangers: Turning Everyday Encounters into Life-Changing Moments, a collaboration with psychologist Karen L. Fingerman, Melinda looked at the opposite end of the relationship spectrum: the surprisingly vital connections that extend beyond family and close friends--a subject that took her into the world of business and marketing, the Internet and social media, health and "place making. 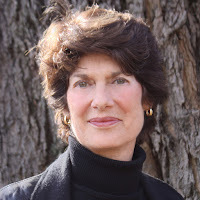 "Melinda's more than hundred articles on families, marriage, education, health, and sexuality have been featured in highly-regarded print venues such as New York, The New York Times, Utne Reader, and the Psychotherapy Networker. For six years, she also penned "The New Family" column for Child magazine. More recently, she has contributed to a number of online magazines, including Shareable, More, BeliefNet and Psychology Today. A featured guest expert on Oprah, Good Morning America, CBS This Morning, and numerous other national and local TV and radio broadcasts, Melinda's writing also has been honored by a wide variety of organizations, among them, the American Psychological Association, the Children's Rights Council, the Association of Marriage and Family Therapy, the American Association of Applied and Preventive Psychology, the American Legion Auxiliary "Heart of America" competition, and the Gay and Lesbian Alliance Against Defamation. Melinda's other books include: Families Apart (co-parenting after divorce) with its companion reader, Loving and Listening. She also co-wrote three titles with family therapist Ron Taffel (Parenting by Heart, Nurturing Good Children Now, and The Second Family); civil rights activist Myrlie Evers Williams' inspirational memoir, Watch Me Fly; Our Turn: How Women Triumph in the Face of Divorce with researchers Christopher Hayes and Deborah Anderson; and Barbara Biziou's Joy of Ritual and Joy of Family Rituals. Copyright © 2018 BrightSightGroup LLC.